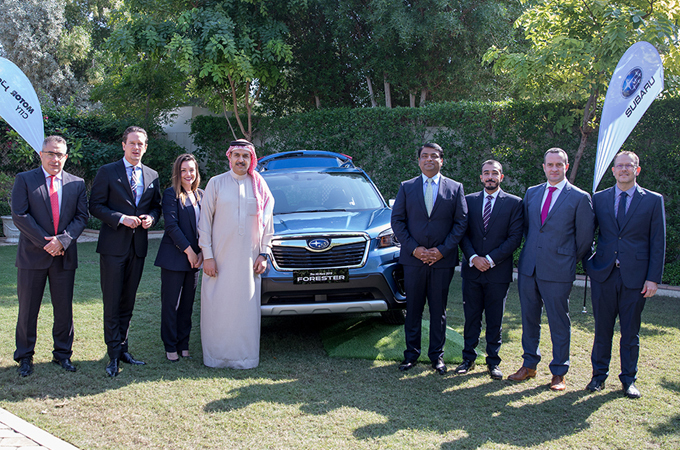 Motorcity, the exclusive distributor of Subaru vehicles in Bahrain, has debuted the all-new 2019 Subaru Forester, the fifth generation of the best-selling SUV. All-Wheel Drive, and the award-winning EyeSight Driver Assist Technology. The 2019 Forester debuts a more rugged style that showcases Subaru’s new design language while retaining a strong family resemblance to the rest of the brand’s portfolio. The exterior has shoulder lines that follow around the pillars to emphasize height and strength. Prominent wheel arches emphasize the standard Symmetrical All-Wheel Drive system’s functionality. The 2019 Forester is the best-equipped ever, adding features such as EyeSight, LED headlights, SI-DRIVE Engine Performance management, Active Torque Vectoring, Automatic Climate Control, Electronic Parking Brake, and a panoramic power moonroof.